State Senator Terry Murphy and Alison Boak. Candidates for state, county and town offices debated the issues Monday evening at a Meet Your Candidates forum sponsored by the Putnam County League of Women Voters. Races for the 40th District State Senat… Please login below or purchase a subscription to the Putnam County Courier to access this content. Patterson Town Justice John King has lost his battle against cancer. 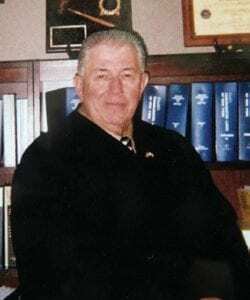 Patterson Town Justice John King has lost his battle with cancer. King passed away Oct. 3, three days shy of his 73rd birthday. King, a 1961 graduate of Brewster High School, enlist… Please login below or purchase a subscription to the Putnam County Courier to access this content. Firefighter Gabriel Rivera has been honored for bravery. 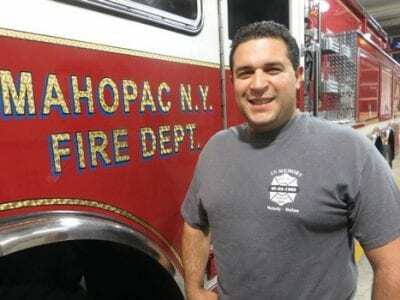 Mahopac firefighter Gabriel Rivera doesn’t consider himself a hero. The 40-year-old paid professional emergency responder with the Danbury Fire Department was approached by a suicidal man point… Please login below or purchase a subscription to the Putnam County Courier to access this content. 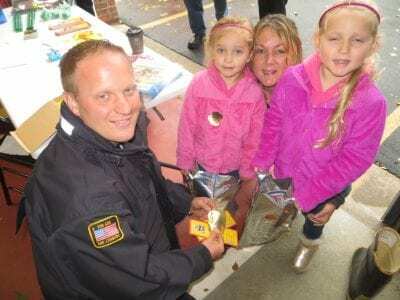 Clockwise from top: Hayley Hanna, 8 and her four year old sister, Margaret, enjoy homemade Halloween Fire Prevention cupcakes at the open house. John Williams, 4, of Putnam Valley, smiles when given a special balloon. Kayla Edwards, 11, and her grand… Please login below or purchase a subscription to the Putnam County Courier to access this content. To the Editor, On Tuesday, October 4th I attended a full Putnam County legislative meeting. When it came time for public comment the audience was warned that comment was limited to items listed on the agenda. My follow-up question, and one that I h… Please login below or purchase a subscription to the Putnam County Courier to access this content. To the Editor: When a fire alarm sounds at 2 a.m., they are there. When a snow storm stops everything in our area, they are there. During hospital visits and hospice stays, they are there. They are the dedicated direct support professionals (DSPs) o… Please login below or purchase a subscription to the Putnam County Courier to access this content. Christmas has arrived a bit early for Green Chimneys in Putnam Lake but officials of the non-profit that assists troubled, runaway and homeless youth are not complaining. The U.S. Department of Health and Human Services last week announced a $200,00… Please login below or purchase a subscription to the Putnam County Courier to access this content.